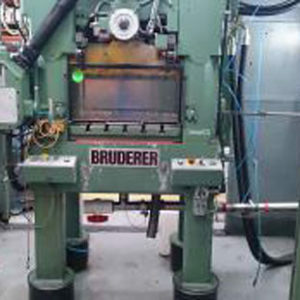 Used Bruderer BSTA 30 high speed punching press. Adjustable stroke 8 – 40 mm. Speed range 100 to 600 SPM max. Max width of strip 120 mm. 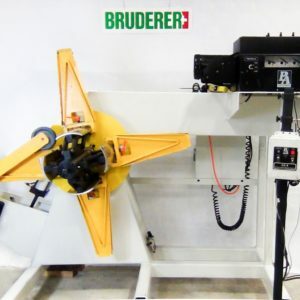 Machine speed range stated is approximate; production rates are dependent on load, material and component configuration. 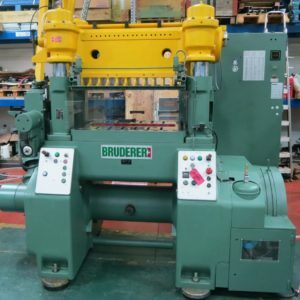 One used Bruderer BSTA 25 high speed punching press. Adjustable stroke 13 to 38 mm. Speed range 100 to 1500 SPM max. Bolster area 540 mm x 530 mm. Fitted with a single roll feed BBV 202/120 on right-hand side. Max width of strip 200 mm. Feed pitch 120 mm, feed angle 180°. 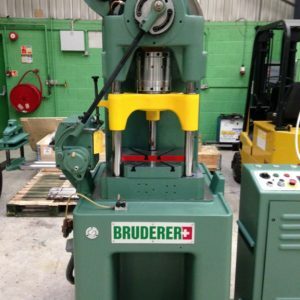 One used Bruderer BSTA 25UL high speed punch press. Adjustable stroke 13 – 38 mm. Speed range 100 to 1425 strokes per minute max. Bolster area 640 mm x 530 mm. Fitted with roll feed BBV 190/85 on left-hand side. Weight of press approx. 4900 kgs. Front and rear safety guards. Power supply 400 Volt, 50 Hz. 60 metric tons capacity, underdrive. Swiss origin. Adjustable stroke 20 to 76 mm. Speed range 100 to 700 strokes per minute max. 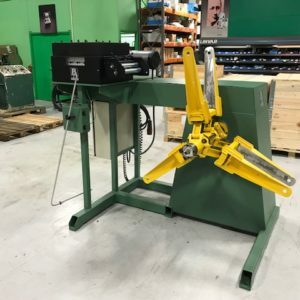 Bolster (tool clamping) area 920 mm x 620 mm. Double Roll feeds BBV 300/200, feeding direction left to right. Max width of strip 300 mm. 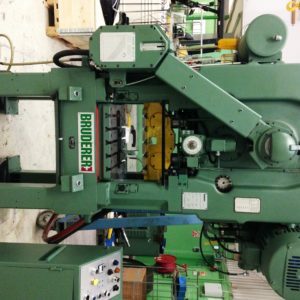 One used Bruderer BSTA50 H high speed punch press. Year of Mfg 1983. Partially refurbished 2015. 50 tons (500 kN) nominal capacity. Adjustable stroke 16 to 51 mm. Speed range 100 to 1200 SPM max. Bolster area 760 mm x 650 mm. Fitted with single roll feed BBV 202/120 on left-hand side. Power supply 380 Volt, 50 Hz. 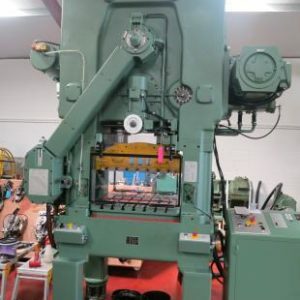 Weight of machine approx 8000 kgs.